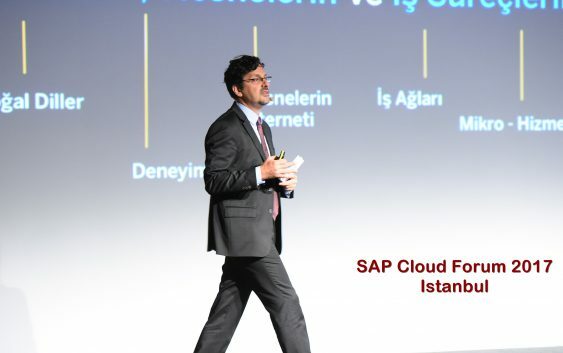 SAP Cloud Forum 2017 was held in 25th of May 2017 in Istanbul Kongre Merkezi. 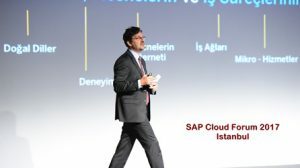 It was an exiting day for me because I was on stage as the Managing Director of SAP Turkey. I had given may keynotes but definitely this is the first of its kind. After my presentation Musa Zorbozan had touched all dimensions of our cloud portfolio. Through out the day I had a chance to meet with many of our customer, partner and prospects. Definitely our approach to cloud is changing big time. I will just add my keynote video for your reference. Küpten Prizmaya Dönüşüm. MIT LABs. İnanılmaz bir Hayal Gücü. !